April 22 is a date that is forever etched into my memory. Two decades ago today, I stood on the stage in the Worcester Centrum, competing to advance to the next round of the Nintendo World Championships. The year 1990 was a great one for video gamers. The Wizard, Super Mario Bros. 3, Game Boy, and Tetris had just come out and had whipped the country's nerds into a frenzy. I was in fifth grade and had had my NES for two years; though it had been preceded by various Apple and Atari systems, the NES quickly earned a prime spot in my gaming lineup. Among my classmates, I was unparalleled in my obsession, which at the time seemed a good thing. When Nintendo announced they were going on tour to find the ultimate gamer, I knew I had to compete. The Nintendo World Championship came to the arena 20 miles south of my hometown on Friday, April 20. It was a dazzling digital display, with rows upon rows of consoles and handhelds for anyone to play. It was like an early version of PAX where Nintendo had reserved every booth for themselves. I got to play games, watch demos, and even meet the famed Nintendo Game Counselors. But the main attraction was the competition. On Friday and Saturday, anyone could get in line to enter a six-minute contest. Scoring at least 200,000 points would get you a pass to return to that location's semifinals on Sunday. There was no minimum of how many contestants could be eligible for that honor; that's the elimination Sunday was for. Unlike PAX's Omegathon, the NWC's games were announced in advance. Contestants would have to earn 50 coins in the original Super Mario Bros., complete one lap in Rad Racer, then use the remaining time to play Tetris. Each game was worth more points than the last, so the goal was to rush through them as quickly as possible and then max out your score in Tetris. 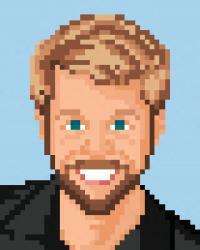 I already had the first and third games, and I was offered to borrow the second by a classmate, Ryan Smith ("Smittie"). I practiced for weeks beforehand and kept a log charting my progress, though even in my fervor, the frequency of these trials trailed off as the date approached. Still, I think my familiarity with the routine set me apart from the hundreds of kids who went at it cold. Though I could (and did) enter the contest multiple times, I crossed the threshold on my first try. On Sunday, I returned to enter the semifinals. The games and goal were the same, except this time, only the top seven scores from each age group would advance. Again, I made it into that bracket, as did a former classmate of mine, Nate Marini. I don't think he recognized me, as four years later, when he dialed into my BBS and we got to talking about the NWC, he was astonished that I knew he was one of the Magnificent Seven. To read the local paper's coverage of the event, it's a wonder my own ego permitted me to notice anything about my surroundings: "A lanky, bespectacled blond, Kenneth was dressed in a Nintendo T-shirt, Nintendo sweatpants and Nintendo hat. 'Are we good or what?' the 10-year-old asked rhetorically, as he waved his arms and bounced on his toes in a manner not unlike Rocky Balboa's." We seven kids were raised from the pits and onto the "Throne" stage, where everyone could watch us turn against each other for the right to sit in the throne; that highest of scorers would be flown to Florida for the national finals. For the third time, we spent six minutes running through three classic Nintendo titles. I and a kid dressed in his Boy Scout uniform, who had spent his time backstage staring at the ceiling in prayer, watched as five defeated players were ushered off the stage. Now the two of us competed. I played well, but unlike the unauthorized Tengen Tetris, in which two players are issued the same blocks, our consoles were random. Perhaps I used my tetrads unwisely; maybe I wasn't given the pieces I needed when I needed them; maybe the Tetris god was angry at me for my hubris. I hoped my 1.4 million points would be enough. Again, the Telegram & Gazette tells the story: "When the competition ended, Kenneth and David rushed to examine each other's score. Their reactions told the story — Kenneth shook his head and frowned, while David grinned broadly and raised his hands over his head." The emcee asked me if I would try again at the NWC's next destination. I mumbled "yes" and left the stage, though I knew I wouldn't be back. I didn't go away empty-handed: among other prizes, the top six losers were all given Super Mario Bros. 3 and Cybernoid. I had spent weeks stalking the local mom & pop rental store waiting for the former and was ecstatic to finally have my own copy. Cybernoid was one of the games I'd rented in lieu of SMB3 and knew it to be a stinker, so I brought it to Child World (a now-defunct Toys "R" Us-like store) and exchanged it for Dragon Warrior, an RPG I'd rented for three consecutive weeks and still hadn't beaten. To have two games of such astounding depth and duration was an excellent prize indeed. The only game that would've been a better prize was the modified game cartridge that decided I was not the best prepubescent gamer in Massachusetts. The cart containing Super Mario Bros., Rad Racer, and Tetris was given as prizes to the finalists, with gold cartridges (like the original Zelda) to the champions of each age bracket. These artifacts exist in the wild, with the rarest model having been sold on eBay just last summer for $17,500. I would give a great deal for a chance to hone my skills at that game and know that, twenty years later, I finally beat that Boy Scout … but not $17K. 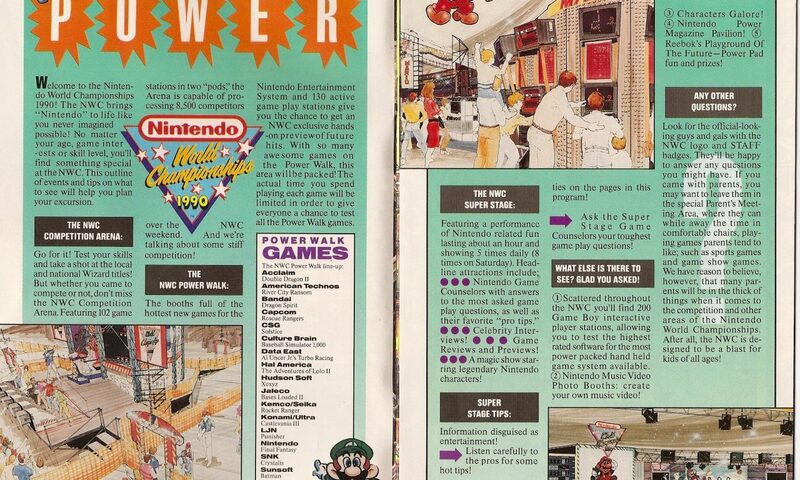 Some gamers have never heard of the NWC, which was eventually renamed the PowerFest, but its impact on gaming culture continues to this day. At the inaugural PAX East, Boston hosted the Omegathon, which featured these same three games, plus Konami's Contra. Just twenty years and forty miles away, it was the NWC all over again. I am happy and proud to have participated in this part of gaming history. Back when video games were kids' toys and were something that set us apart rather than brought us together, the Nintendo World Championships made us feel like stars. It gave us a place to belong, albeit briefly. I just wish I'd gotten a score that could've let that moment last a little bit longer. Very well written. I competed in the NWC and know for certain the 26 golds were only given to the sweepstakes winners in Nintendo Power. Thor, Ryan White, and Jeff Hansen got grey cartridges like the rest of the ninety. Thanks for the correction! I figured there had to be more than three gold cartridges out in the wild. I remember Thor Ackerlund went on to advertise game peripherals; I wonder if the other two had bright futures as gaming figures or competitors? I was there too. 1990. I was in eighth grade. Good times. Good times indeed. Posted On Apr 22, 2010 in News with 3 Comments.